It’s been almost two years since I started doing a monthly carded club. I am so grateful for the support and love you have all shown me. Thank you for taking a chance and trying new things. 2019 is shaping up to be a busy year and I have so many fun surprises in store for you. We have a brand new breed planned for each month. Some breeds are going to be challenging, some coarser than other, some softer than others, but all of them will be different. I hope you’ll join us for the journey. 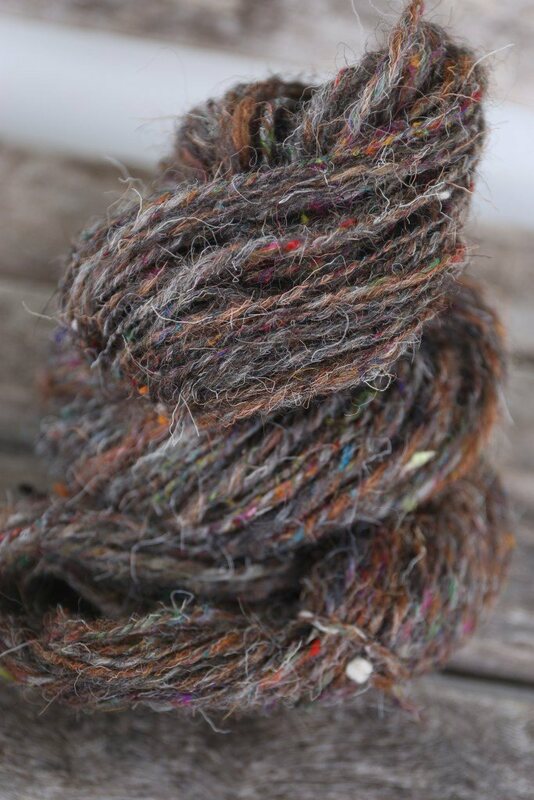 This year also sees a small change in the spinning of the yarn. I’m having trouble keeping up with all of the things. My dear friend, Rachel, from Wool N Spinning, asked about spinning up club for me each month and I was happy for the help. Although, I must admit, I did miss spinning January club, it was nice to not be stressed about this getting finished for once! I will be spinning club when I can, and I’ll still be coming here every month to share my inspiration and the story behind the colour. So let’s talk colour! This was my inspiration for the month. I always find January to be a month of reflection for me. A month to think about what I want to see in the coming year. This photograph seemed to reflect that for me. 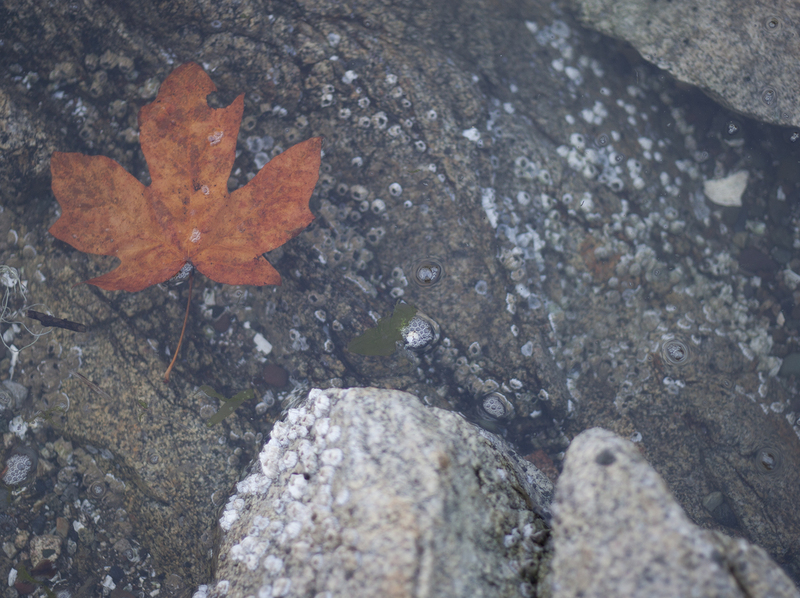 The solitude of the leaf floating along in the river, reminded me that it’s okay to take time to slow down. When I looked at the natural grey of the Herdwick, I decided that I wanted to keep some of it in it’s natural state and over dye some of it. I over dyed some black and some orange. When the batts were made, I opted to heather the natural grey and the over dyed black and have strong sections of the orange to represent the leaf. For luxury, I added some sari silk and neps to add some contrast and fun. Rachel has written a thoughtful post about her club spin, which you can find here. 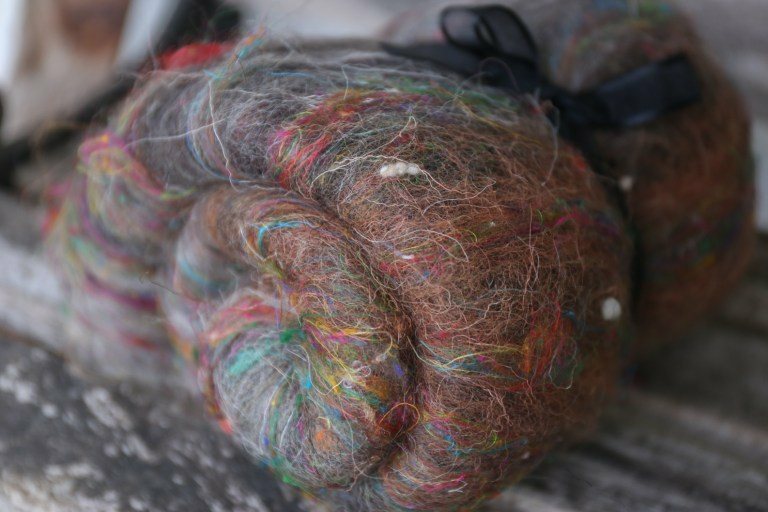 Rachel had a luxury batt for the month of January which was a blend of Herdwick, Sari Silk and Wool Neps. Basic club was 100% Herdwick. This is Rachel’s photo of her batt. And her finished yarn. I can’t help but be a little tiny bit jealous!